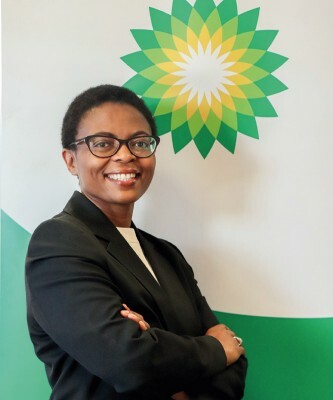 With over 20 years service in a number of key leadership positions, Mabelane brings a wealth of world-class experience and expertise to her new role as CEO for BP Southern Africa (BPSA). She most recently served as Operations Director for BP’s UK retail business, where she is credited with maintaining a strong safety record while delivering record levels of financial performance and progress on key strategic milestones. 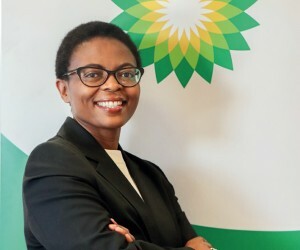 Prior to joining BP, Mabelaneheld various executive roles in a number of large South African companies including the Airports Company where she was CFO, Ernst & Young where she was a tax director and Eskom Holdings Limited where she held various roles in finance, tax and general management. She is a qualified chartered accountant and has a BCom Honours in accounting. BPSA currently boasts the highest number (six) of women in leadership positions, which is over 50% of the executive team. The organisation’s board chairperson position is currently held by a woman, Adv. Thandi Orleyn, since 2011. Gregory Simpson caught up with Mabelane recently for the inside scoop. What is the significance of your appointment to the position of CEO of such a prestigious company like BPSA? It is a significant milestone for women, let alone black, in an environment where the diversity profile is not where it could be. But my aspiration is not to make this an individual achievement, but to say, “How can we build the right attributes and give confidence to young women for the challenges that are coming through”. When you go into the industry and see the talent profile, you see many young and capable women coming through in the technical areas, for example, technology and engineering is female dominated. But there is a funnel that you need to go through, so I’m hoping that my appointment signifies a shift. Having said that, it is very important that we demonstrate the right leadership and become the right role models, able to inspire that confidence and ensure that we give back. There is an argument that women are better in certain positions in the working environment than men, would you agree? My experience is that from a technical ability perspective they are better, women work much harder, often twice as hard as their male counterparts, which comes naturally. We are very focused and when you look at behaviour attributes, empathy is strong. In a world that’s always moving and innovating, the ability to tap into different profiles and diversity irrespective of gender and race, you need that broad empathetic leadership, which women are better suited to, being able to respond appropriately. Where have you identified key opportunities for BPSA in sub Saharan Africa? It is still a growth continent for us, but we have some challenges in the short term in SA and Mozambique from an economic perspective. Our business needs to be resilient to be able to go through that. But overall we see a growth opportunity for BPSA going forward. We’re continually looking for investment opportunities in Southern Africa and making significant investments over the next five years to upgrade our network and convert our convenience stores in partnership with Pick n Pay. Within our refinery we have a number of dynamic shifts to cleaner fuels and making sure that we are competitive in meeting our demands. Bio fuel is slowly making inroads into the mainstream diesel market as an alternative fuel, just how far down the line are we with those developments in Southern Africa? At a global level we are looking at cleaner technology in terms of bio fuel, but not in Southern Africa. If you look where the region is, the opportunities that we are exploring are more inline with our current business and expanding and growing that. Looking to the UK, where you spend a lot of time at BP headquarters, what do you make of the proposed banning of fossil fuel cars by 2040? How do you plan for such events and diversify your offerings to remain relevant? I think we need to understand that we are operating in a global world and we are not excluded from these dynamics. Having said that, the pace will differ from one market to the next based on maturity. SA will probably be the first African market to shift in terms of global technology. We will continue to monitor that. The good thing about operating in a global system like BP is that we are responding to the technology at a global level, and the issue is deployment into each market at the appropriate time. Cleaner diesel legislation is closer to the South African business reality, with legislation stuck at levels that Europe was at 10 years ago. Most local trucks run on Euro 2 and 3, while Europe runs on Euro 6 engines, which can be 20 - 30% more efficient and kinder to the environment. What is the latest? We are operating in a regulated environment compared to the rest of the world where it is an open, competitive environment. The biggest challenge is balancing the interests of our customers and those of the major players involved. We need to make sure that the pace of change and the framework supports that. We also need to be mindful about the security of supply. The amount needed to make the change is significant so we need certainty about some of the macroeconomic drivers. What kind of leadership style do you admire and try to follow as you lead your own team? I strongly believe in orchestrating delivery though people, and being a visible and active leader. Able to listen and engage to inspire confidence while being adaptive in terms of different people and contacts. Knowing when to push and when to pull, while ensuring that I set the right challenge for people to grow and continuously get better. That is how I operate. I believe in walking the floor, interfacing with customers to understand their needs, spending time with the sales team, while understanding the risks that we operate under. BP and Pick n Pay have been strengthening their partnership at filling stations and plan to rollout a fresh new look for their convenience stores. What are you doing to stay competitive with the likes of Engen, who have a partnership with Woolworths? We operate a retail business, a convenience business, so need to make sure that we are offering our customers the right products when they visit our stores. Pick n Pay, as you know, has market penetration which is appropriate for our business and we are very fortunate to partner with them.Shale gas was a big talking point in years gone by, but with no clear signs of large deposits, yet things have gone quiet. What is BP’s position?In SA it is not on our agenda at all so we’re not having any discussions around that at this point. How much cleaner has BP made their operations over the last 20 years locally? In SA we have been investing in cleaner technology at our refinery, and in the medium term we are committed to ensuring that we can meet the demands from a cleaner fuel perspective. I’ve seen you say that being authentic is essential for you. How do you keep your individuality working in such a large company? I joined BP because the values of BP aligned with mine. I’m an integral part of leading those values and don’t see any limitations in being a multi-national company, which gives me an opportunity to live the values that I believe in. That is important for anybody. I’m aware that when you work with a diverse group of people in a large team those values get tested, but my boundaries are very clear. What are some of the keys to balancing family and a high profile job that requires a lot of travelling overseas? I’m fortunate that in the last ten years my kids are much older and can balance some of that. You need to be mindful of your time, and creating time for the kids without distraction is very important. You need to continue to be whole with your family and set boundaries between time in the field with BP and time at home. Always one for the next challenge, what are your long term goals since you have presumably achieved one of them already at BP in your new position? I believe in continuous growth, I am young and the future looks fantastic. I intend to put my head down and enjoy what I have today, while making a meaningful contribution to others people’s lives and to be an inspiration. The Fourth Industrial Revolution and AI have been stealing the headlines of late, are you excited about the possibilities or quietly cautious about the job loss component? The reality is all industries are going to be affected by Fourth Industrial Revolution. We have a huge focus on that and its very exciting and we’ll continue to share some of our strategies at a global level. But it is a phenomenal shift, and I tell my team that in the meantime we have a business to run and shape in order to continue to be sustainable while being able to adapt.Job loss and re-skilling: I think it will be a combination, and I am nervous about the implications for SA from a skills set and capability standpoint, and how we can ensure that we minimise the impact on employment. At BP we are already looking at where we can upskill and adapt to the change. BP had a fantastic year in 2017 globally, showing a tidy profit margin to investors after a down year in 2016. What do you put the growth down to? It’s due to all the investments upstream and downstream to remain at a competitive advantage, and to simplify and modernise the business. Our retail and downstream portfolio has changed significantly and unlocked value for us.